The Visiting Nurses of Aroostook Home Health Hospice announced May 10 that the Aroostook House of Comfort has acquired state licensing and has admitted its first patient. PRESQUE ISLE, Maine — The Visiting Nurses of Aroostook Home Health Hospice announced May 10 that the Aroostook House of Comfort has acquired state licensing and has admitted its first patient. 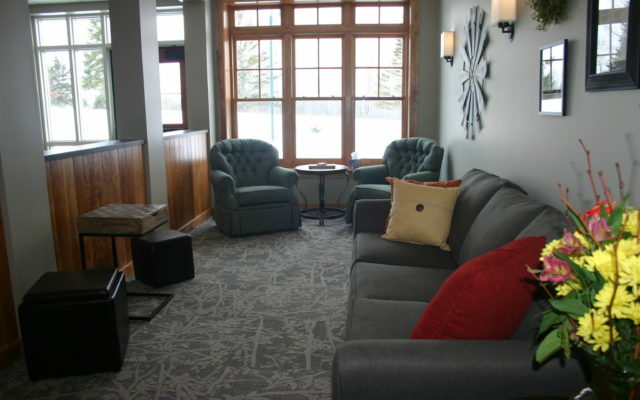 The House of Comfort, located at 18 Green Hill Drive in Presque Isle, is a free-standing six-bed inpatient facility that provides 24-hour care to those who no longer seek curative treatment and instead turn to hospice for comfort as end of life approaches. Experts at pain and symptom management, the VNA HHH will provide high-quality, compassionate care to all patients who need tranquility and comfort. After all, “hospice” is derived from the Latin hospes, meaning hospitality. Nancy and Rick Duncan, along with Sharon and Dirk Duncan, established the Aroostook Hospice Foundation to raise funds to build the House of Comfort, which opened its doors to the community in early April. VNA is the only Medicare-certified hospice provider in Aroostook County. VNA Home Health Hospice is a non-profit organization dedicated to the health and well-being of communities throughout the state of Maine.